One thing hadn’t changed during the summer break: the dominance of the Mercedes team, and to a lesser extent, their engines. The chassis were clearly well-suited to both the faster sections of the circuit and the slower, twistier more technical middle sector. No one could really touch them; they looked after their engines, performed well on both types of Pirelli tyres and were reliable. 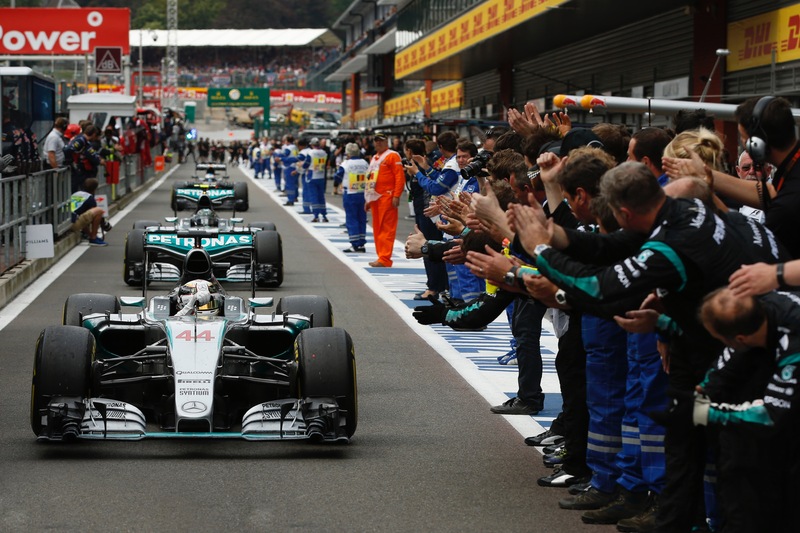 Lewis Hamilton had feared that he might be challenged by another car up the long Kemmel straight to Les Combes, and he was absolutely right. While Nico Rosberg didn’t get the vital clutch bite right in the new start procedure, Lewis did and produced an almost perfect start, only bettered by Sergio Perez from the second row. 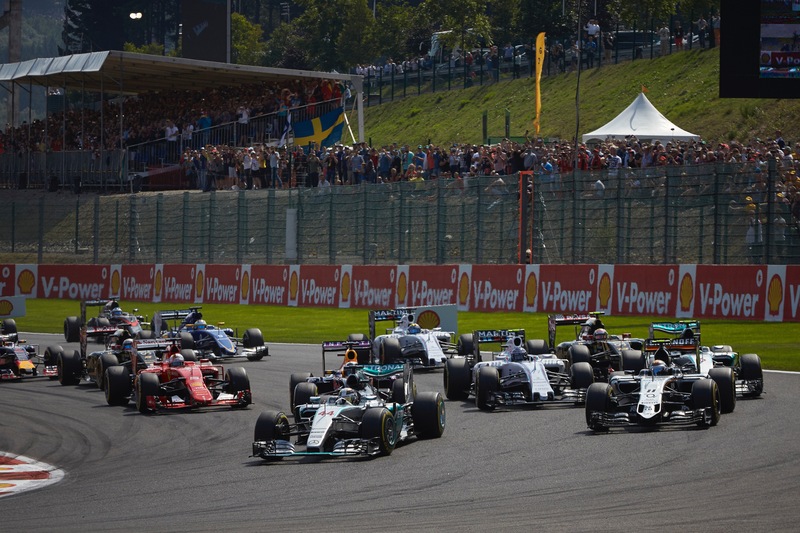 And going up the hill to Les Combes – with DRS disabled on the first two laps – the Force India driver was able to get a tow and get past Hamilton to lead briefly into Les Combes until the Mercedes driver outbraked the Mexican into the righthander and then Lewis was home and dry. It took Rosberg a while to thread through those who had overtaken him, but once he was in second place, he was able to keep his teammate honest with consistent pressure, even if he never really got close to him. They traded fastest laps, the gap opened and closed but Hamilton was always in control. It was another one-two for Mercedes but another win from pole for the English driver. The margin to the rest was a pretty massive 35s but by then the Mercedes’ closest challenger had dropped out. Sebastian Vettel had taken a gamble with a one-stop strategy – not even Pirelli had come up with that one – but it transpired that 29 laps on one set of tyres was just too much and while he was just two laps from being a hero and making the tyres last, a puncture meant that instead he was reduced to retirement and a twelfth place. 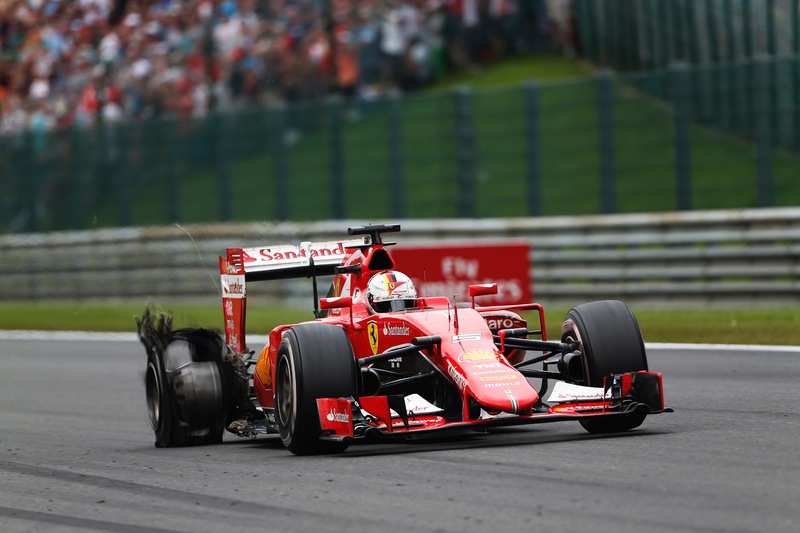 Instead it was left to Kimi Raikkonen to score points for the Scuderia. But his tale of the weekend illustrated just how fragile the Ferrari is, with a poor qualifying followed up with a gearbox change. But seventh place was a long way from the top step of the podium seen most recently in Hungary. Instead, it was left to Lotus to fill the final place on the podium. Just like Force India, they had looked competitive throughout the weekend – they share the Mercedes engine, of course, as do Williams. 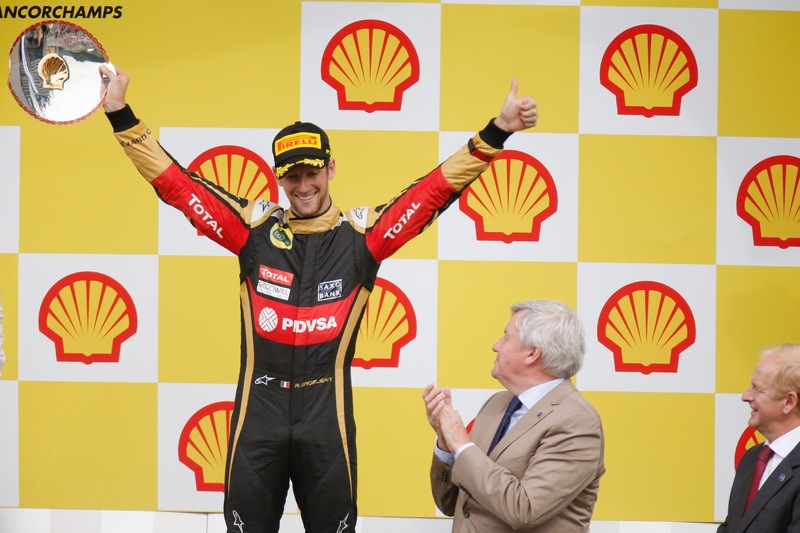 Perez dropped away to fifth – teammate Hulkenberg hadn’t even started – so that Grosjean came through to finished a fine third and put Lotus on the podium for the first time for since Austin 2013, 31 races ago. 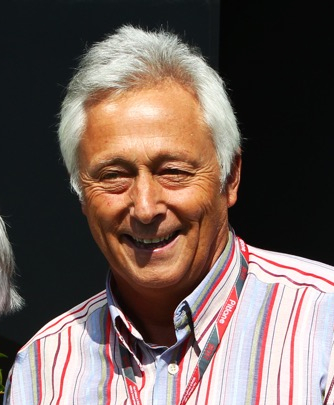 All three customer Mercedes teams had been competitive throughout the weekend, and surely one of them was going to fill the runner-up spot to the works team, and it was Lotus who filled the position. Given that there was a threat to have an injunction placed on the team by former test driver Charles Pic, this was a welcome and well-deserved result. 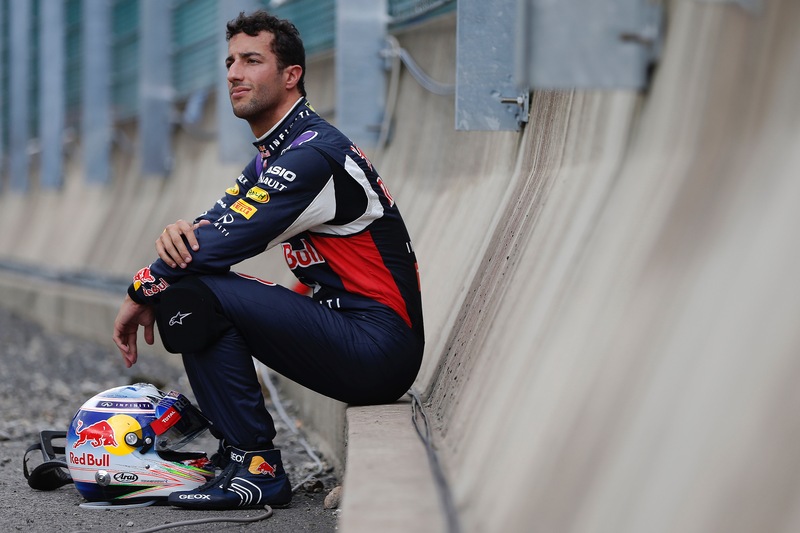 Red Bull Racing had looked competitive throughout the weekend – the twisty middle sector is their strong point – but Ricciardo was out with a mechanical problem after 19 laps. Daniil Kvyat did look strong in the closing stages – when you get the aggressors and the defenders – and he came through well to fourth place ahead of Perez. Williams were perhaps disappointing as well as making a fundamental mistake when they fitted two different types of tyre in a pit stop and suffered a drive-through penalty for Valtteri Bottas as a result. But Massa finished sixth, Bottas ninth and they score more points than Raikkonen got for seventh place, so they cut the gap to Ferrari in the Constructors championship by a fraction. Verstappen and Ericsson were the final points scorers, but in the case of the former, there was still unreliability as teammate Carlos Sainz was in trouble right from the start, like Hulkenberg. And he might have been better placed, although there was a lot of pressure on him at his home race – his Belgian mother was in the garage this weekend. In a way, then, it was a race to be expected: lots of variety but no real challenger to the Mercedes steam-roller. That could well be the same at Monza but may well change when the championship comes to Singapore for its scramble around the streets in September. Now that is a different kind of race!